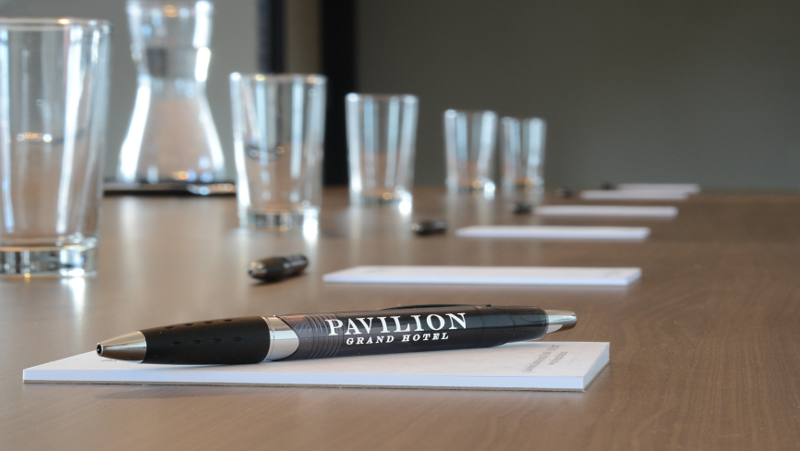 Pavilion Grand Hotel specializes in hosting and planning events in Saratoga Springs. We take the stress off your shoulders and will have your guests raving. We are a true one-stop-shop: restaurant-quality catering, on-site event experts, spa services, and guest accommodations all in one stylish package. We bring the highest level of expertise to large events, small gatherings, and everything in between. For more information and photos, see our meetings and weddings pages to learn more. 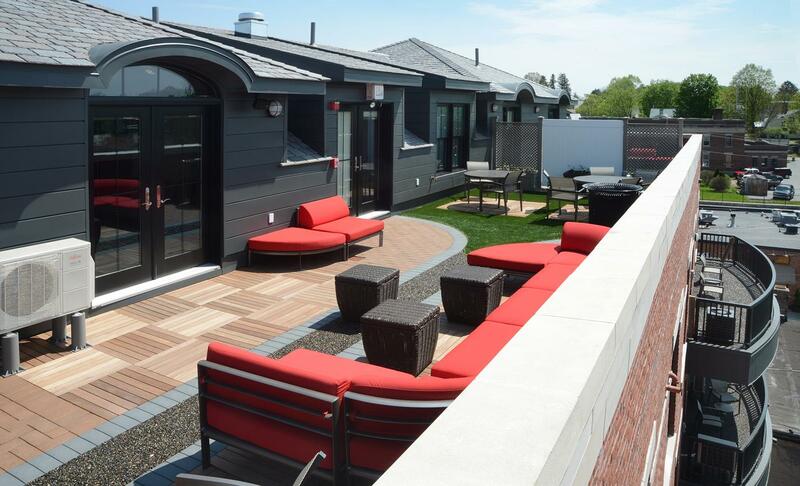 Pavilion Grand Hotel features a rooftop terrace adjacent to our Pavilion Room event space. A loft-style roof level space unique to Pavilion Grand and Saratoga Springs, this outdoor space lends itself to creating a memorable experience for your next meeting or private function. The outdoor terrace has approximately 1,600 square feet of exterior gardens, with sweeping views that overlook Saratoga Springs. Our flexible indoor space, Pavilion Event Room, is located on our 5th floor with approximately 1200 square feet of private space. This unique space can accommodate up to 50 guests. We can provide A/V and Polycom equipment, as well as all the furnishings you need for receptions, dinners, meetings, and more. This bright and light-filled room with four sets of French doors, opens onto the rooftop terrace, for outdoor cocktail receptions, open-air breakouts, and more. Our enormous 2 story suites are perfect for gathering and entertaining. Our lodgings include fully-equipped kitchens and large dining tables, and you can order custom catering from Fish at 30 Lake, one of the businesses of Pavilion Square. 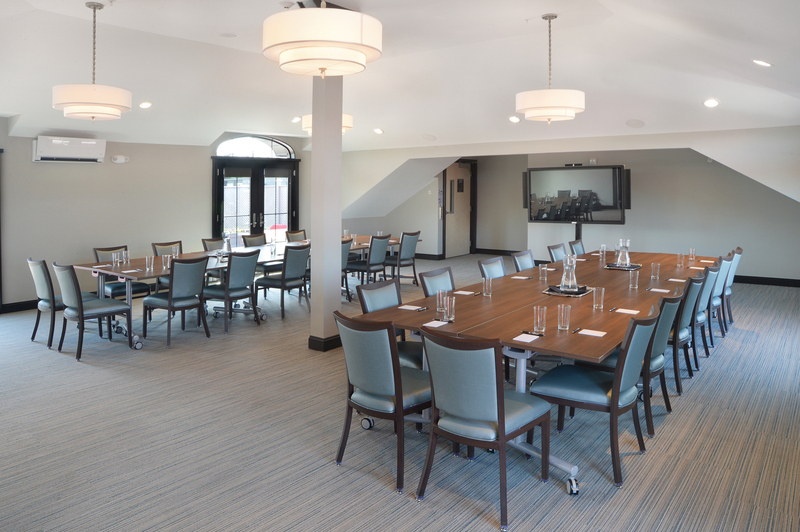 Enjoy a 10-12 person boardroom-room style table in our Executive Board Room Suite, or the sweeping 2-floor layout of the Penthouse Suites. Our bright suites with very large windows and outdoor terraces make for perfect event prep spaces, with their over-sized bathrooms and all of the natural light needed for beautiful photos and videos, a photographers dream!